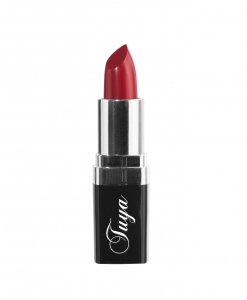 Tuya’s Vegan Lipstick Collection is soothing, nourishing, build-able, light and has incredible staying power. 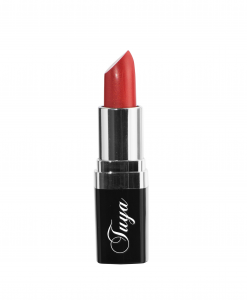 This range has been long sought after and in high demand from our followers and we are grateful to be able to bring this beautiful range of Vegan friendly lipsticks to the Tuya Collection. Ricinus Communis (Castor) Seed Oil, Carthamus Tinctorius (Safflower) Seed Oil, Butyrospermum Parkii (Shea Butter), Capryl/Capric Triglyceride, Simmondsia Chinensis (Jojoba) Seed Oil, Ozokerite, Stearyl Stearate, Stearic Acid, Euphorbia Cerifera (Candelilla) Wax, Glyceryl Rosinate, Octyldodecanol, Isoamyl Laurate, Coco-Caprylate, Tocopheral, Rosa Damascena Flower Oil, Pelargonium, Graveolens (Geranium) Flower Oil, Fragrance.